Earlier today, GM Ray Shero announced that the Pens had extended defenseman Kris Letang’s contract to a 4 year deal worth 3.5 per season. This caused an up roar on Twitter of fans who liked the extension and others who didn’t. 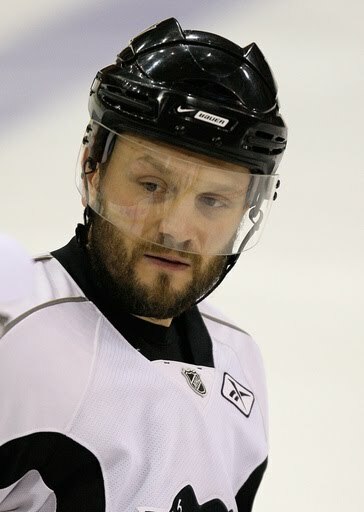 This also brought up some issues regarding the resigning of Veteran defenseman Sergei Gonchar. Gonch, who over the last couple season has had to deal with injuries, is indeed a valuable piece to the Pens D and power play. He is a guy who is respected not only in the locker room but by the league and the fans. 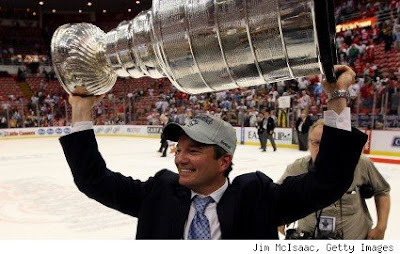 Now let’s not get too far ahead of ourselves here, we have no idea what Ray Shero could have in store for us regarding Sarge. Shero was quoted today by saying that the signing doesn't hurt negotiations with Gonchar at all, that this was part of his plan (via Brian Metzer's From The Point). 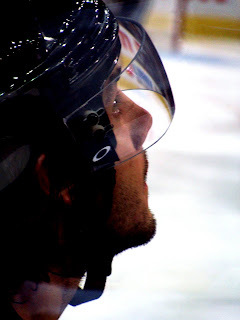 He was interviewed by Mark Madden of 105.9 The X. I only caught part of the interview but in that part MM asked Letang, “What are you going to do with your money?” Letang was quick to respond saying, “Nothing. I’m not going to change anything, I going to stay the same.” It’s great to hear that a guy wants to stay and play for a city like Pittsburgh, who wouldn’t? The best part is this kid is only going to get better and that’s why Shero does what he does. Check out what HC Dan Bylsma had to say about the Letang extension as well as Captain Sidney Crosby.